Dead skin cells can build up on your face and dull your complexion. Exfoliating will reveal the fresh, beautiful skin underneath. You’ll get a healthy glow and a younger look. Use at-home exfoliating products like scrubs and masks, or make a trip to the salon for a good facial or peel. Using a more abrasive “scrub” that contains vitamins such as A and C is ideal in getting a really good exfoliation. At home sugar scrubs have become really popular and extremely effective in removing dead skin cells. Make sure to exfoliate 2-3 times per week for maximum effectiveness, go lightly around the eye area – this skin is thinner and more sensitive. Moisturizing keeps your skin smooth and healthy. When you get dehydrated, your skin will look tired, dark, and dull. For a bright, vibrant look every day, use a daily moisturizer and a weekly treatment for deeper moisturizing. Use an overnight cream as well to promote moisturizing and healing while you sleep. Look for a creamy moisturizer such as Dr. Murad’s Ultimate Moisturizer – apply generously to face and neck morning and before bed. Hydration is key in plumping up fine lines and giving your skin a dewy and youthful glow. The fall and winter weather are much drier than the summer when humidity is at a high. The dry air is bad for your skin, which will also dry out during these months. You can be proactive in protecting your skin by investing in a humidifier. Run it in your bedroom while you sleep to keep your skin moisturized and supple. 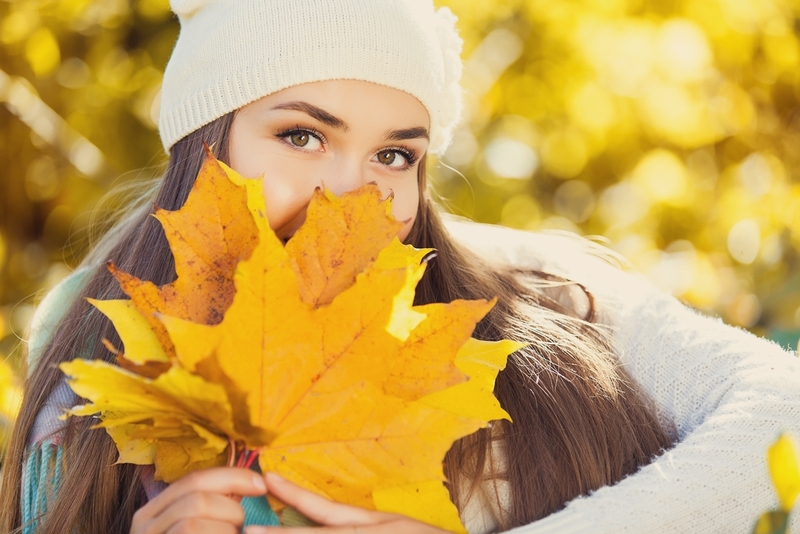 It’s an easy way to keep your complexion looking beautiful all season long. Tip of the trade: use a cooler setting on your hair dryer. Many people don’t realize that a lot of the hot, dry air they experience is daily, directly from their blow dryer. Apply your moisturizer FIRST, then dry your hair! Fall is a wonderful time of year. Make sure that you are ready for it by getting your skin healthy and beautiful. You’ll be able to wear all the season’s colors and look your best.